Damaging sunshine, bitter cold, ice and snow – your garage door must withstand a wide range of threats every day of the year. At GARAGA, we ensure that you have a garage door capable of holding up under this pressure, as well as looking great for years to come. Sure, R-value is important, but GARAGA can help ensure that you get a garage door that features both thermal breaks and weather-stripping for a robust, permanent solution. No matter how much you invest in a garage door, it’s only as good as the installation. At GARAGA, our professional installers are trained and certified to ensure that you have the best possible experience. Our dealers have over 100 years of experience, so you know you can’t go wrong with GARAGA! 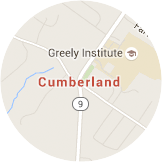 What other customers from Cuberland, ME area say about Garaga? This was a new garage door install and not a problem. We LOVE our new door and the great sales help and service we received. We will highly recommend to friends and family! Very professional! THANK YOU! The customer service we received was wonderful, our door was fixed promptly and the whole entire process was made exceptionally easy! Thank you!!! Read more about International Door Corp.
Lewiston, Auburn, Lisbon, Lisbon Falls, Durham, Topsham, Bath, Brunswick, Turner, Minot, Mechanic Falls, Sabattus, Greene, Poland, Wales, New Gloucester, Wales, Monmouth, Hebron, Leeds, Oxford, Buckfield, Bowdoin, Bowdoinham, South Paris, Norway, Casco, Raymond, Freeport, Gardiner, Winthrop, Livermore, Biddeford, Boothbay Harbor, Rumford, Jay, Augusta, Vassalboro, Windham, Waterville, Gray, Cumberland, Portland, Saco, Standish, Old Orchard, Scarborough, Hollis, Wells, York. A recent study conducted by “Remodeling” magazine found that while the average cost for a new garage door in New England was around $1,674, owners were able to recover almost 84% of that cost when the home was sold. Sick and tired of high-pressure sales tactics? Hate dealing with salespeople who always push you to invest in the most expensive product? You’ll never have to worry about any of that with GARAGA. Our dealers will listen to your needs, learn about your budget, and then help you make the right decision for your home and your garage door. The garage door is often the weakest point in a home’s security. If you’re worried about vandals, burglars or home invaders exploiting this area, you can rest easy. 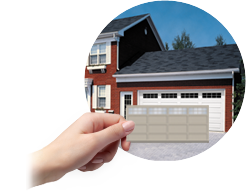 LiftMaster garage door openers ensure that you have easy operation and the best security on the market. GARAGA is proud to be partnered with LiftMaster. 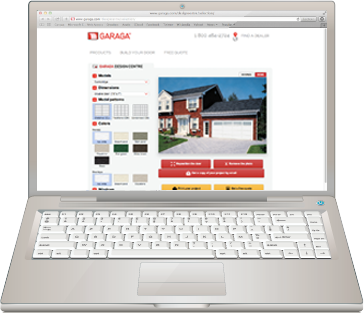 At GARAGA, we’re proud to work with the most knowledgeable installers in the industry. Our professional technicians and installers strive to provide the best possible customer service, and customer satisfaction is our number one goal. 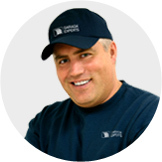 Our team always ensures that installations are done precisely, with no detail ever overlooked. We’re also proud to offer our customers ongoing maintenance and service. Just give us a call and we’ll send a licensed technician to inspect, service and maintain your garage door. Follow I-95 S to Industrial Park Rd in Saco.